It has been developed to protect your personal information from being misused or sold without your knowledge or consent. 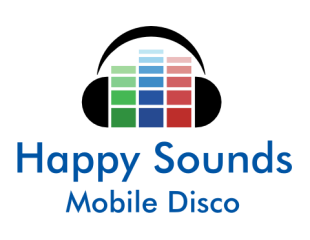 This regulation affects Happy Sounds Mobile Disco because we store personal information directly related to your quotation or booking. As a potential new client, We need a few basic details to provide you with an accurate quotation. We will also need an open channel of communication to provide you with the quotation. This channel may originate as Telephone, Email or Social Media. This is why the ‘contact page’ on our website requires a Telephone number and Email address. When placing a booking we require an open channel of communication should we need to contact you regarding your booking. We also require a few basic details that will personally identify YOU (the client) for the contract of service. For taxation purposes, we are legally bound to store invoices/receipts (which will contain some personal client data) historically for a number of years. The Information we collect includes: Name, Address, Contact Telephone Number, An Email Address and if applicable your Social media account number/name. In very rare circumstances we may ask for banking details. This is only applicable for existing bookings and it will only be requested in situations that necessitate the return of a deposit originally made via bank transfer. We may also collect some personal details which can be extrapolated from your booking. An example of this would be: Your 50th Birthday Party. We would assume you are either 49 or 50 years old. We may capture images or video at your event. If so, we may use these on our website, social media channels or in publications. Under this regulation your face is considered personally identifiable and as such personal data. Physical records of your quotation or booking, including Invoices/Receipts (and all data directly relating thereto) are stored securely in locked cabinets. Digital records of your quotation or booking, including Invoices/Receipts (and all data directly relating thereto) is digitally stored locally using encryption technology. Raw Images and Video are recorded via our mobile imaging device. The device itself is security pin locked. This device stores images and video internally and on Google cloud services. Files stored on the google cloud are stored on servers in secure data centres. Images and Video from events downloaded from google cloud or transferred locally from the mobile device are then stored locally using encryption technology and only kept as long as necessary. We may share your Name and Email address with Trust Pilot for review invitation purposes. At present we do not share your details with any other 3rd parties. We do however send some of your personal data electronically to you (our client) in the form of contracts/invoices/receipts. In the instance of email, A ‘sent’ copy of communications we send will be stored on our email server. Our web host “One.com” uses the SSL ‘Secure Sockets Layer’ protocol to protect the transmission of data over the internet within email. One.com’s Data Servers are located in secure data centres with 24 Hour surveillance. Currently we only use Facebook social messaging. Facebook messaging uses the same secure communications protocols as many shopping and banking websites. Facebook servers are held in secure data centres. Personal details collected during the booking process are used to generate an invoice and contract of service. You (the client) will receive a copy of the invoice/contract of service, Contained within these will be some personal data that we hold on you. For wedding bookings we will likely collate information about your music tastes or genres. While this information is not governed under the GDPR, We aim to be open and clear on ALL the data we capture/process. Using this data will allow us to tailor our service/play list to you and your event. The GDPR regulation states that processing of personal data shall only be lawful under a strict set of conditions. We process your personal data as it is necessary for both parties (Happy Sounds Mobile Disco) and You (Our client) to enter into a contract of service. The afore mentioned contract is the agreement of service between both parties based on arrangements specified during the booking process and acceptance of our terms and conditions. We may process images or video from your event for website/social media blogs. We will ask your specific consent for image/video processing at the time of booking. – The right not to be subject to automated decisions/profiling. If you wish to exercise any of these rights, you must inform us on the contact details below. Due to the nature of this business (Mobile Disc Jockey) There is no requirement for a DPO appointment within Happy Sounds Mobile Disco. However as the business owner I am responsible for data protection within the business. It is my legal obligation to maintain security of personal data and to report any breach of security or loss to the ICO and any affected clients. The data we collect and process (Invoicing/Accounts/Contracts and for advertising/marketing in connection with our own business activity) is for core business reasons. On this basis Happy Sounds Mobile Disco is not obliged to register with the ICO . We take your privacy seriously and use guidance from the ICO in our business procedure.